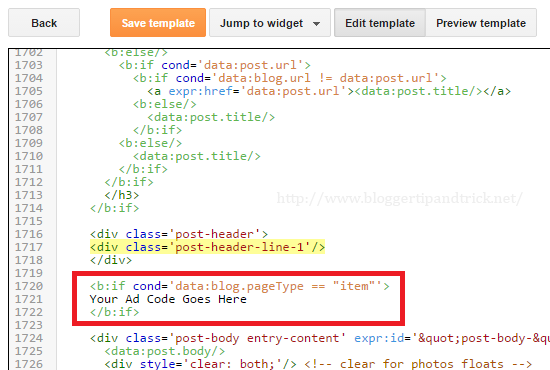 This tutorial explains how to display an advertisement under post title in a Blogger blog posts. 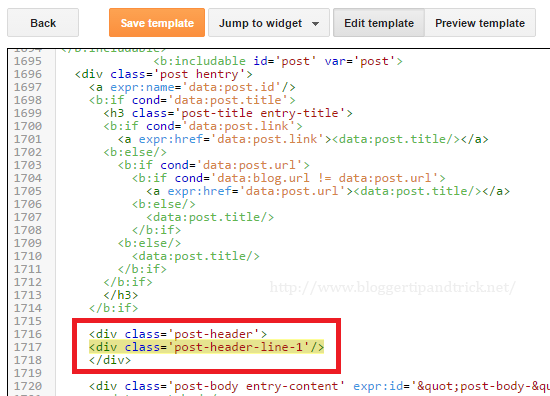 To add a ad banner just below post title, first you need to go to "Edit HTML" page of your blog. Now paste your advertisement code just below above code (you have to paste it twice, because above code available in 2 places).